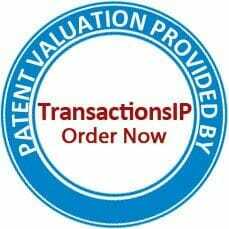 We have three main different Patent Valuation packages to choose from: Basic, Enhanced, and Comprehensive. In addition, you can choose if you would like to include Foreign Counterpart Status for a small fee. I needed a patent valuation to determine next steps and potential market price point. I received a base report that let me make a determination to proceed with a patent sale brokerage decision. Fast and on target report. We needed a 10 patent portfolio valuation and assessment to determine if an investment was prudent. We received an excellent analysis and valuation (a combination of basic and enhanced reports), which allowed us to move forward. I needed an independent valuation to convince my management with respect to the monetization opportunity. I received a patent valuation price range and target companies which defined the market potential. The Patent Valuation looks great. I look forward to the next opportunity to engage your services.